So I while back I tried the LJH Vita Propolis ampoule and immediately fell in love. It made my skin look super-glowy without feeling heavy or greasy... problem is, that stuff ain't cheap. American retail prices are around $38 for a 15ml (yes, just 15ml!) bottle, and even if you have the patience to order from Korea with slow/cheap shipping, you're still looking at paying around $30. What's a gal on a budget to do? Try out cheaper propolis ampoules, of course. 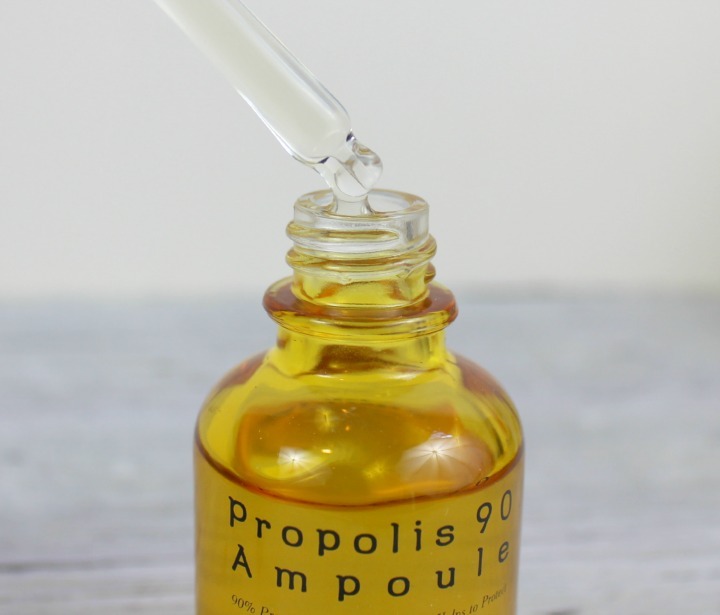 Today I'll be taking an in-dept look at Pure Heals Propolis 90 Ampoule, which is loaded with a whopping 90% of propolis extract and costs less than half the price per volume of LJH. But does it measure up? Read on to find out! I suppose I should briefly talk about what propolis is, for those who don't already know. The box describes it as "a mysterious mixture of natural materials made by honeybees, which collect the sap of plants and mix them with their saliva, adding beneficial enzymes, It contains nutritional ingredients to protect the skin from both internal and external irritants and repair damaged skin. It helps restore skin to health by soothing sensitive skin." I'm not sure how mysterious that actually is—it's basically like bee snot mixed with sap. Bees use it to fill in gaps in their hives, which is why it's sometimes referred to as "bee glue". So why would you want to put such an unappealing-sounding substance on your face? It purportedly has excellent antioxidant and skin-soothing properties. In its raw form, it also has the ability to inhibit fungal and bacterial growth. Propolis Extract: As referenced above, an antioxidant ingredient that's good for soothing skin. Aloe Leaf Water: An anti-inflammatory, antioxidant gem that's also great for soothing (and moisturizing) skin. Niacinamide: A cell-communicating ingredient that's great for lightening discoloration/general brightening. It also has the potential to improve skin elasticity. 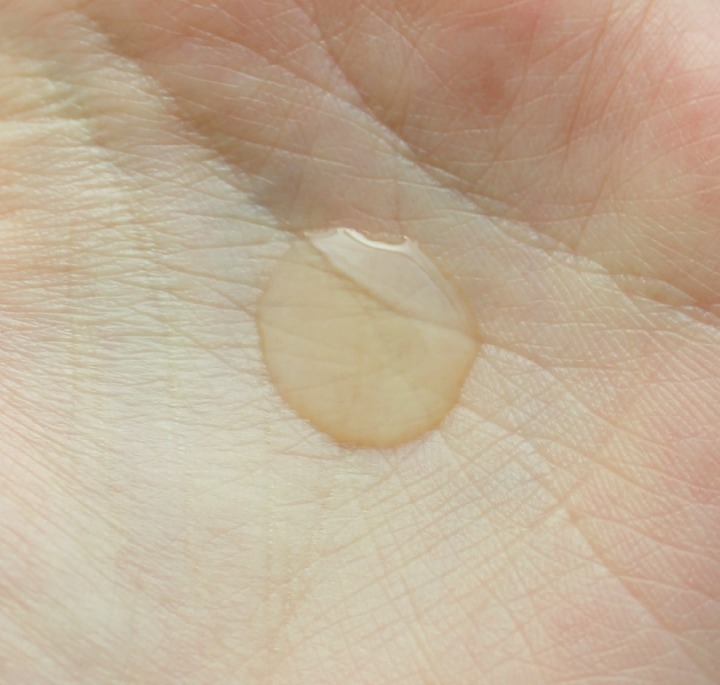 Sodium Hyaluronate (Hyaluronic Acid): A humectant (AKA moisture-binding ingredient). One of the most basic ingredients out there, but it helps keep your skin looking hydrated and plump, yo. Algin: Seaweed. Has emollient and antioxidant properties. The text on the box also suggests that Alginic Acid has water binding properties. ...and SO MUCH MORE! I found this product on CosDNA and the only ingredient it flagged as a (minor) possible acne trigger was Butylene Glycol. Nothing new there. Though I will say that there are an awful lot of aromatic oils towards the bottom of the list... not a big deal for most folks, but if you have allergies/very sensitive skin they could be irritating. The box suggests patting a "moderate amount" of the product onto your skin after cleansing and toning. I'm not sure what they consider to be a "moderate amount", but I find a few drops to be adequate. Personally I've been using this after cleansing and toning like they suggest, but you can also mix it in with your cream. Pure Heals Propolis 90 Ampoule sells for 26,000원 (~$23.78 USD) for a 1oz/30ml bottle on their Korean website, but if you live outside Korea you can easily find it online for around $20 shipped. I got mine from eBay seller blueprint21 for $18.04, just as an example. And there's also a jumbo 90ml size available if you really, really love propolis (original retail price 47,000원/$42.99 USD). I have to say: 30ml might be the smaller size, but it's still fairly sizable for an ampoule. One of the downsides is that the bottle it's housed it comes with a very broad pipette, making it difficult to dispense just a few drops at a time. I often end up with too much in my hand if I'm not careful. The serum itself is slightly yellowish in color and has a very slippery texture. I don't find it to be incredibly sticky if I'm only using a few drops, but it's definitely more sticky than the LJH ampoule on a microscopically nitpicky stickiness scale. If you overapply it it definitely feels a little bit tacky to the touch though. Best to only use a few drops and let it dry almost completely before applying the next layer of your skincare routine, in my opinion. One thing I didn't really like about this product was the scent. It doesn't smell bad—kind of a general floral/herbal smell—but I found it to be a little strong for my tastes. Thankfully it doesn't linger. 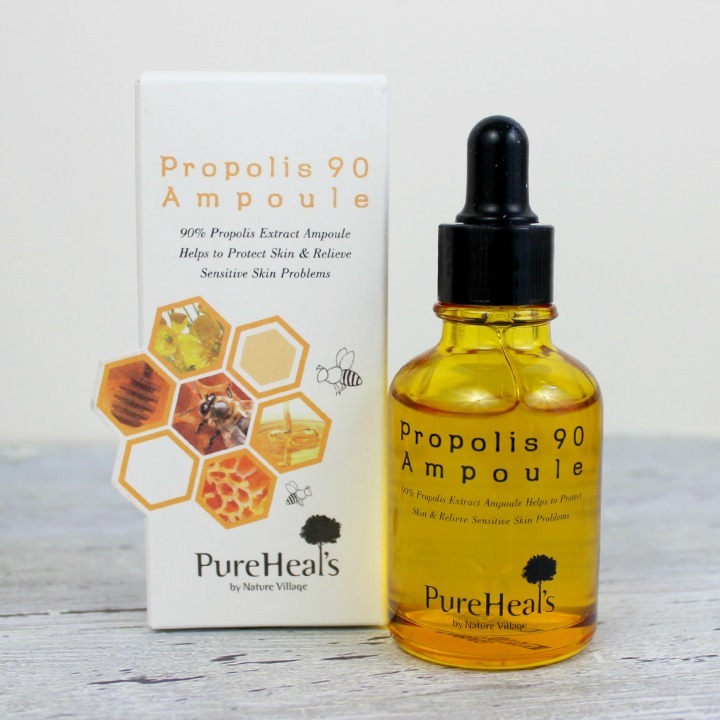 As for results: I've been using Pure Heals Propolis 90 Ampoule for over a month now and don't see any dramatic results in terms of wrinkle-reduction and brightening, but I will definitely agree with the claims that it's soothing. I use a lot of acids in my nighttime routine and that can sometimes make my skin feel a bit tender the next day, so this stuff comes in really handy. It also works really well to deliver a light layer of moisture. I can see this being suitable for everything from dry to normal to combo skin types—not sure about the extremely oily though. One of unadvertised benefits of this product is that it gives your skin a bit of "glow", which is great if you're concerned about dullness, but maybe not if you're already feeling too shiny. I still think it's very good in it's own right as a general hydration serum/glow-getter though, so I'm going to recommend it. Honestly, I doubt you'd do better for the price. Two buzzy wings up! 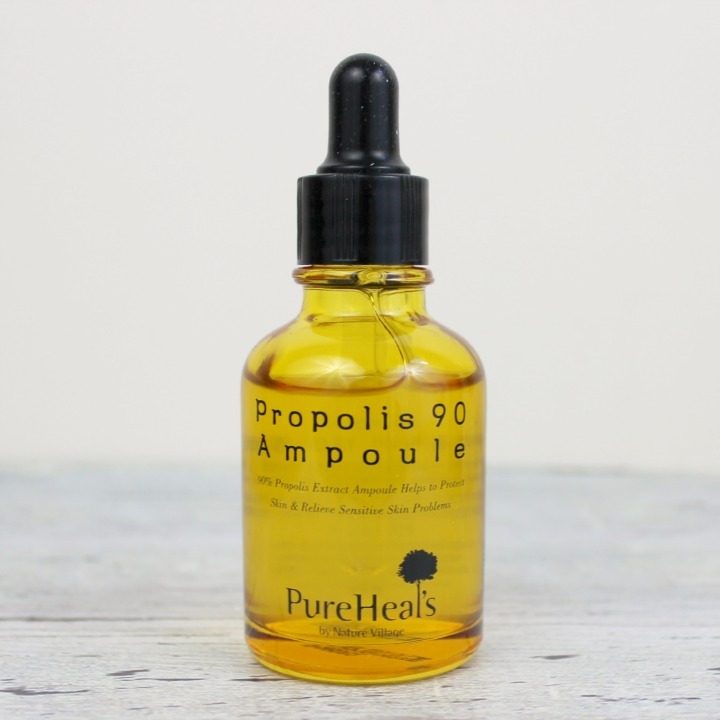 What do you think of Pure Heals Propolis 90 Ampoule? Have you ever thought of incorporating propolis into your beauty routine? Nothing like good ole bee snot to make you gorgeous! lol Actually, this sounds like a great product to use as a serum. I love using serums in the summer! Btw, I'm kinda obsessed with your Snapchat. Hope you don't mind! I think I prefer this ingredients list to the LJH one, since it doesn't have witch hazel in it. I do think they could leave out some of the fragrant oils though... I don't mind the scent of propolis, as herbal as it may be. And it doesn't contain vitamin C which is what I'd look for from a product w Niacinamide. Thanks for bringing this one to my attention. I'm not sure what raw propolis smells like, but this smells more like the fragrant oils (especially geranium) to me than anything else. I'd like this a lot more if most of them just weren't there. Do you avoid witch hazel for allergy/sensitivity reasons or something else? Just curious! I take propolis pills sometimes and it's got this like weird pungent smoky herbal scent which I've gotten used to... the taste is nasty though. Re: witch hazel, I don't have sensitive skin in general but I find witch hazel really irritating to my skin. lol you want some? i'll seriously send it to you so you can catch a whiff for yourself. unopened and sealed of course..
Haha, no thanks. Though if this propolis mania keeps up, I may find myself trying out propolis toothpaste and mouthwash... mmm, that smoky-fresh feeling. I was so happy! Until I saw lavender oil in there. Whyyyyyy?! Haha! Interesting, I had never heard of propolis before reading this review. Sad but true fact: Whenever I see unnecessary lavender oil on an ingredients list, I think of you now. Yay? It's pretty popular in Japan and Korea, from what I can tell. Not just as a skincare ingredient - you can sometimes find propolis mouthwash, toothpaste, supplements etc.